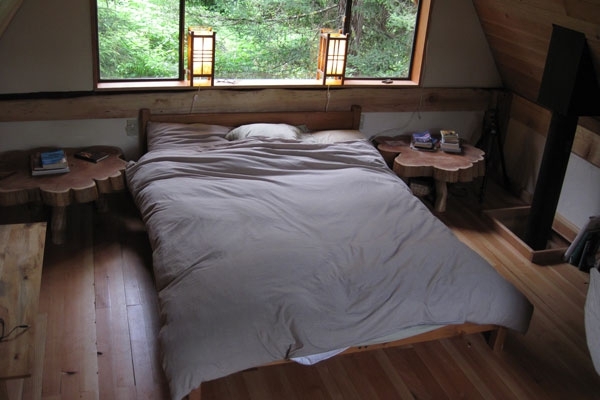 Brian Schulz, a Kayak instructor built this perfect Japanese cabin by the woods in Nehalem, Oregon. 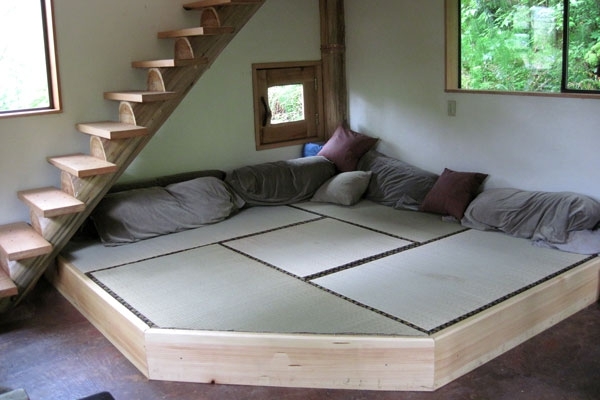 Using a limited space of only 14′ by 16′, its total footprint consumes just 224 square feet. 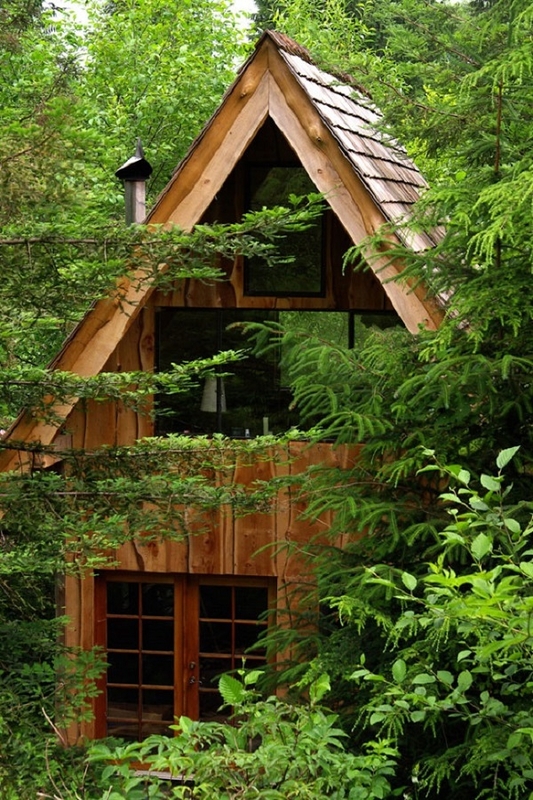 Nestled among the trees and covered in green canopies, this Japanese minimalist-inspired cottage has been built from salvaged forest woods and drifts. Imagination and talent turned it into a stunning lodge. The interior has been fully-insulated using a mix of plaster, cotton, sand, clay. It was also painted in two coatings using milk paint. The designer was set to complement the habitat and not contradict its natural look. The project was completed in a year and a half, hand-made by Schulz himself. 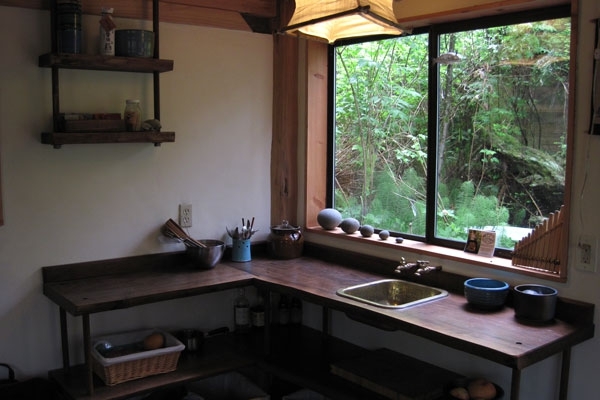 The Japanese cabin built with much enthusiasm and creativity is one place to truly commune with nature. Inside, the stairs are built in sturdy woods, the bedroom typical of Japanese houses with the lanterns not to be missed. 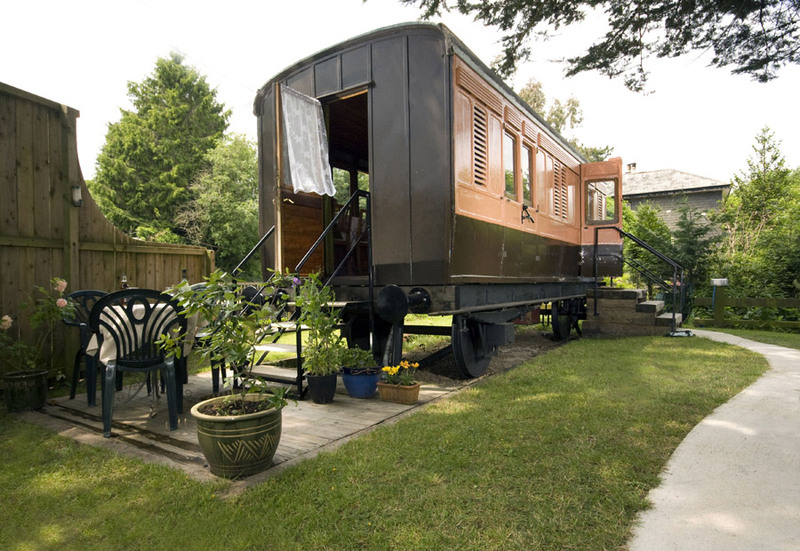 However, it comes with a functional kitchen and dining area, a sitting room and bath. 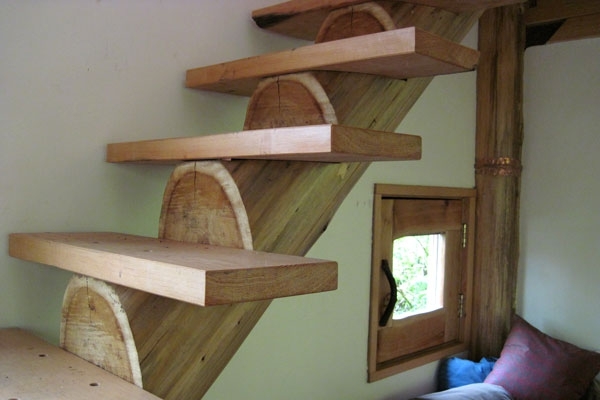 This cabin has been built on a meager budget of $11,000; but this did not constrain a stunning finished product to come out.